If you are new to fishing, then it’s quite tough to set up your spinning reel and rod. It often leaves you frustrated at times because you cannot get it done quickly and have to spend most of the time setting it up. 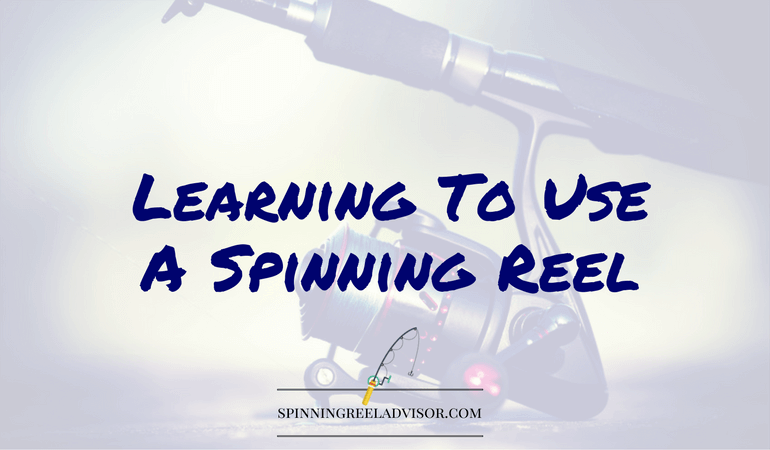 You don’t need to worry anymore about it, as today we are going to explain how to use a spinning reel. Once you master this skill, it will help you greatly to improve your angling skills and boost your success rate. Before we begin, let us rightly know that what is a spinning reel? This type of reel uses a fixed spool in contradiction to baitcasting and a conventional reel. It houses a spinning motor along with a bail assembly mounted around the spool that guides the line onto spool while retrieving the line. When you turn the handle, the rotor spins and the spool oscillates thus distributing the line evenly without creating a mess. Why are spinning reels more popular? It is one of the top choices for most of the anglers as it is much easier to reel in and cast. Also, this reel is preferred by the people who want to cast greater distance than what regular other reels can. Moreover, it takes very little time to learn how to cast the spinning reel. So, here we’ve come to the core direction on how to use a spinning reel. So early, right? So let’s have a quick look at the step by step guide below. Step 1: Hold the rod in such a way that the stem of the reel is between your middle and ring finger. Now position your thumb above the handle while extending your pointer finger in such a way that it touches the top of the spool. Step 2: Wind the reel till the line roller comes under your pointing finger. Now pick up the line at the start of the reel with pointing finger and try to hold it against the rod with a finger. Step 3: Using your other hand flip up the bail towards the rod tip. Now turn to the area where you want to cast the line and slightly bend your body with your hand with the rod closest to the target area. Step 4: Now try to aim the tip of rod towards your target at a height even to your eyes. Now bend the arm at the elbow and raise it up to the eye level. Now try to move the forearm forward with a slight wrist movement. Step 5: Try releasing the line from your forefinger at a position when the tip of the rod is near about eye level and let the line travel freely. Most of the people get confused with timing to release the line. Here is a way to know whether you are releasing at the right time or not. But if you release the line at the right time it will go far away from you near the targeted area. See? Not too much boring stuff to know about. Things are always better with an infograph, so we added one for you. No flashy fancy contents, just the relevant points to remember. Enjoy and share with your buddies.